You'd think a tall guy walking around with a camera hovering it high above at a railway station would attract strange looks. Not really. 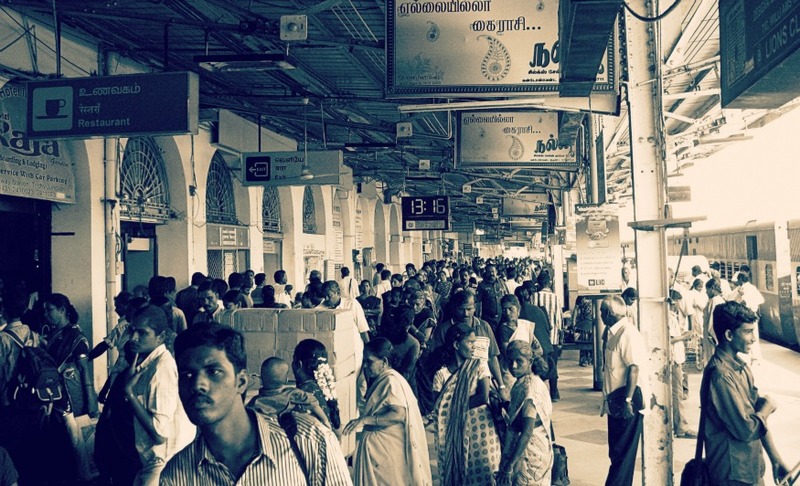 The trichy station has always been crowded every time we've been there, so what you're looking at is more or less one of the usual sights there. Given the right perspective, I think railway stations would make an excellent location for time-lapse videos.